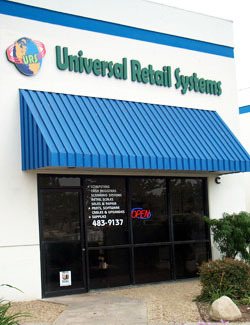 Universal Retail Systems have been in business since 1995, serving the technology needs of retail stores and restaurants. Our services include point of sale hardware and software integration, installation, training, technical support, repair, credit/debit/EBT card processing integration, remote managed services, local and on-line back up, point of sale and CCTV security systems integration. Our technical staff has over 40 years of combined experience on cash registers, point of sale and computers.We are a Microsoft Business Partner Certified to sell, install and support Microsoft's leading retail software such as Dynamics Point of Sale, Retail Management Systems Store Operations, and Retail Management Systems Headquarters. Our varied list of clients include independent and ethnic grocery stores, liquor and convenience stores, quick and full service restaurants and general retail stores. We would look forward to adding your business to our satisfied customer list. Our commitment is to offer cutting edge POS technology that will help our customers improve their retail operations.